Despite our best plans, it’s often the case that we put aside Christmas present shopping right to the last minute. That accounts for the surge in sales at petrol stations on Christmas Eve where your loved ones receive that festive bag of barbecue charcoal that they’ve always wanted – or a can of WD-40 (which, to be fair, is always useful…). Shopping for OMD fans can be a tricky prospect, particularly as it’s very likely that the die-hards will have themselves purchased every possible OMD item that exists. Despite this, here’s a handy guide to some possible last minute presents that you can snap up for the OMD enthusiast in your life. OMD’s Royal Albert Hall concert saw the band reaching out to fans of both their commercial and experimental periods. As a choice, it was a clever one and sidestepped the obvious choice of doing a predictable if acceptable hits setlist. 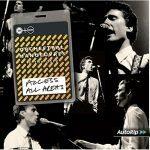 It also meant that the concert saw some OMD firsts with tracks such as ‘This Is Helena’ performed live for the first time and an augmented version of ‘Time Zones’ (with English Electric samples) performed. The recorded version of the concert (recorded on 9th May 2016 at Royal Albert Hall, London) was released as part of the band’s PledgeMusic campaign and preorders swiftly sold out the CD edition. The good news is that the Pledge site still has copies of the vinyl edition available. The album comes on deluxe triple heavyweight LP and copies are available at £35 a pop. Order Royal Albert Hall Vinyl Edition. 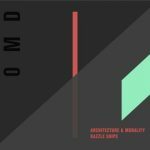 A rare glimpse of early OMD in action, this CD and DVD combo shows the band on the cusp of success in 1980 (Architecture And Morality was still a year off). Filmed for an early TV appearance, this live footage sees a dynamic band powering through some of the OMD classics during the Organisation tour. With a setlist including ‘Messages’, ‘Enola Gay’ and ‘Electricity’, plus live versions of ‘Motion & Heart’ and ‘Red Frame/White Light’, it’s a window into the band’s fledgling stage performances. 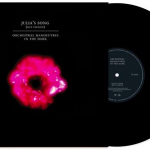 Let’s face it, there’s a select few early OMD songs that are universally held up as classics – and ‘Julia’s Song’ is certainly one of them. Culled from the band’s eponymous 1979 album, the oddly evocative lyrics were penned by former ID collaborator Julia Kneale. Now you can grab a special handwritten version of those same lyrics, written by Julia herself. 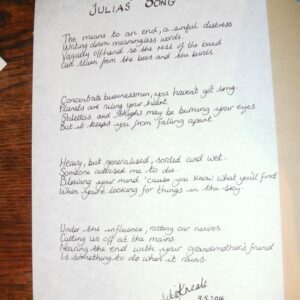 Order Julia’s Song Handwritten Lyrics. Penned by Julia Kneale, Moods, Memories And Other Manoeuvres is a book that forms a very personal story from one of the members of the early Liverpool and Wirral music scene. An evocative story of childhood, teen years and her involvement with OMD’s Andy McCluskey and being part of pre-OMD outfit The Id. The lyrics of ‘Julia’s Song’ will remain her enduring legacy to OMD as one of the band’s most classic songs. Less an autobiography and more of a series of snapshots in Julia’s life, Moods, Memories And Other Manoeuvres offers up moments of joy and tragedy in equal turn. Delivered with a keen eye for language and wit, the stories in this book will also unveil a previously unseen side of the pre-OMD music scene. Generously illustrated with rare and previously unseen photographs the book also features a special selection of Julia’s poetry. Order Moods, Memories And Other Manoeuvres. For Record Store Day in 2015, OMD contributed a special 10” release (which tied in with the Junk Culture reissue of the time). ‘Julia’s Song (Dub Version)’ was a previously unheard mix culled from the brass version that features the Weir Brothers. To top it off, the record was been issued in a sleeve that incorporates the design elements used on Peter Saville’s original sleeve artwork for Junk Culture. The original version of this track turned up on the B-Side of the 12” release of ‘Talking Loud & Clear’ in 1984. It was unusual for the fact that it was essentially two tracks: a dub version which consisted of an instrumental jam, followed by the brass version of ‘Julia’s Song’ proper. There was some upset online when this instrumental segment was actually missing from the Junk Culture reissue, although Andy McCluskey did address the issue by stating that it had been specially set aside for the Record Store Day release. OMD’s Museum of Liverpool concert in 2014 added on to an increasingly welcome left-field approach by OMD to do unusual performances and projects. Following on from The Energy Suite and the Royal Philharmonic performance, it was a welcome addition to OMD’s desire to mix things up a little. The performance also saw some exclusive merchandise produced. You can snap up some of these items (now at reduced prices) via the National Museums Liverpool website. 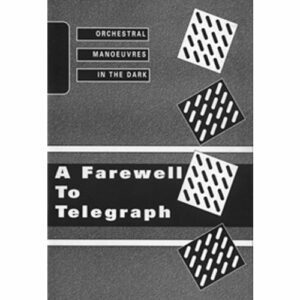 Among the items available are mounted prints for early OMD promo campaigns designed by Andy McCluskey, tote bags, fridge magnets plus DVDs of OMD’s Royal Philharmonic Orchestra performance from 2009. Order Museum of Liverpool merchandise. 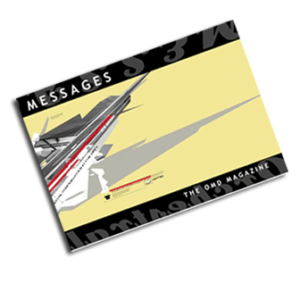 Originally issued through the Official OMD Website, the Messages magazines provided news, reviews, interviews with the band and a wealth of additional content. This set features Messages issues 1 to 4 (the entire run to date). Among the articles are interviews with Andy McCluskey, Paul Humphreys, Mal Holmes, Martin Cooper, Paul Collister and Carol Wilson. Special features on The Id, Electricity, the OMD Discography and much more. 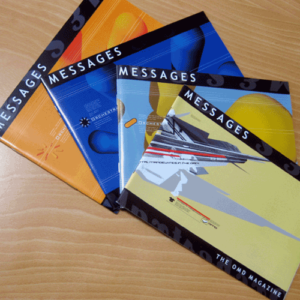 Order the complete Messages collection. Please note that we cannot be responsible for the shipping schedule for third party purchases, but we will endeavour to get all Messages website merchandise shipped this week.